Baan Balina 1. This private pool villa is located in a secure village on the South end of Jomtien. 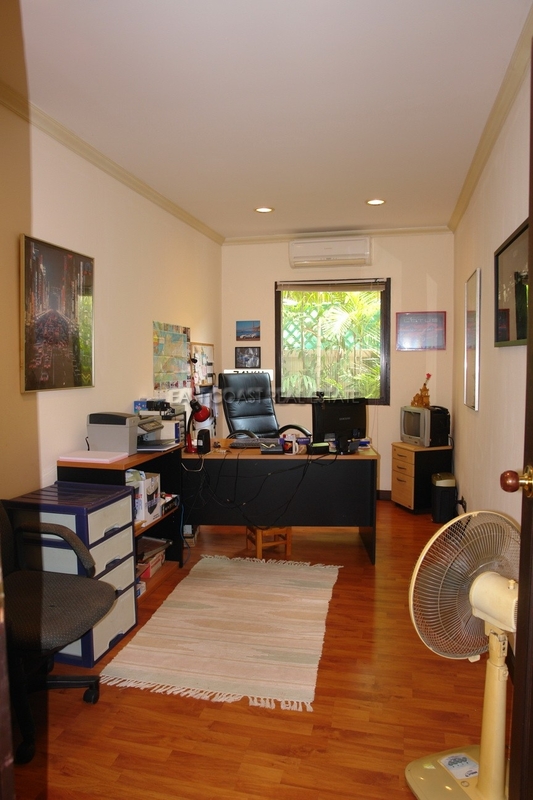 Only a short drive from the popular beaches, Jomtien and Pattaya City. This is a up and coming area, which offers several well known Western & Thai restaurants, convenient stores, golf courses and the soon to be open Water Theme Park. This 3 bedrooms, 3 bathrooms villa sits on 111 Wah² plot of land, and has a private swimming pool, fully landscaped garden and double covered car port. The house features an open plan living, dining area, a separate European kitchen which is of a practical size and includes all appliances. All bedrooms are air conditioned with two bedroom having en-suite bathroom. There is also a separate utility/ maids room situated in the carport. The home is already equipped with satellite TV, telephone line, ADSL internet access and private ESC alarm system. 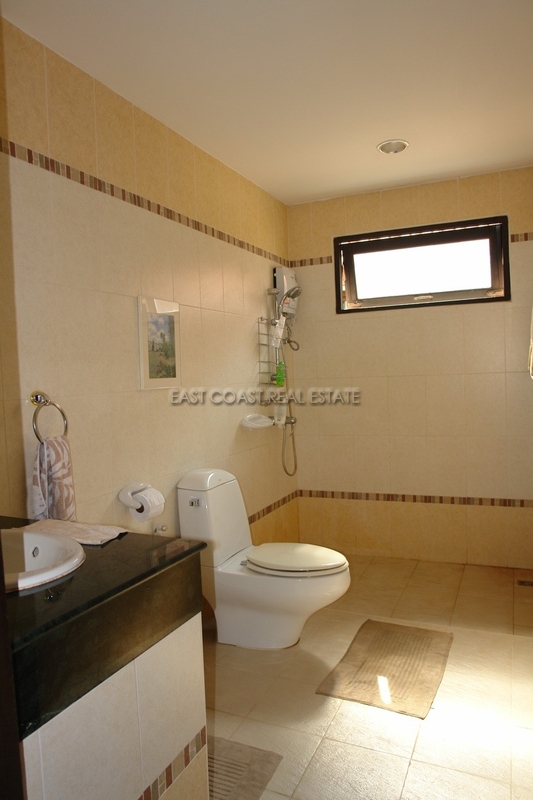 The village has communal swimming pool, fitness room, 24 hours security and large internal road. The home is sold partially furnished with title held under a Thai company.